Dr. Nasser M. A. Jaber is an Assistant Professor of Industrial Engineering at AURAK. 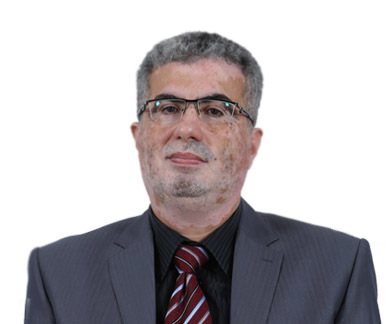 Dr. Jaber received his Ph.D. in Operations Research and Industrial Management from University of Toronto – Canada, and MS in Industrial Engineering from University of Jordan – Jordan, received his Bachelor degrees in Mechanical Engineering from Yarmouk University – Jordan. His research interests are in the areas of Operations Research, Markov Decision Processes, Systems Modeling and Optimization, Project Scheduling, Project Resources Management, Systems Simulation, Decisions Making Analysis, Production Planning Control, Operations and Materials Management, Costing Systems Design, Cost Reduction, Re-Engineering and Quality Management Systems. Abu Jadayil, W. and Jaber, N., “Numerical prediction of optimum hollowness and material of hollow rollers under combined loading,” Journal of Materials and Design, Vol. 31, No. 3, 2009, 1490-1496. Oleksandr Shlakhter, Chi-Guhn Lee, Dmitry Khmelev, and Nasser Jaber, “Acceleration operators in the value iteration algorithms for Markov decision processes,” submitted to Operations Research, 2005. Abu Jadayil, W., Shakoor, M. and Jaber, N., “Modification of Different Manufacturing Cell Layouts Based on Part Assignment”. Shakoor, M., Abu Jadayil, W. and Jaber, N., “A Simulation Model for Performance Evaluation of Resources in a Radiology Department”. Shakoor, M., Jaber, N., and Abu Jadayil, W., “Assessment of Retail Practices for Providing Enhanced Value Added Services and Improved Customer Satisfaction Using Lean Manufacturing Approach”.